Looking for a maintenance company? Hunts Home and Garden is a small team that provides around the clock property maintenance solely for the north and covers from Leeds all the way up to Newcastle. The company is run by Gary Hunt and is based in Coxhoe. The company offers a range of building and landscape gardening, wooden flooring and landlord services. ‘We pride ourselves on professionalism and the fact that no job is too big for us to manage or too small for us to take on. Landscape Gardening Services we offer include flag laying, concreting planting, tidy ups, walls, turf laying, edging, and fence and decking staining /painting’. 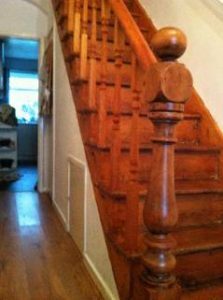 The company specialises in all aspects of real wood and laminate flooring including skirting boards, beading, repairs, full floor sanding and staining services. ‘If you would like an estimate on any of the above please contact us and one of our team will go through and discuss your requirements’. ‘All our employees are time served tradesmen with years of experience to guarantee a quality finish. We also provide a service were we look after your property if empty. We will do weekly checks and send confirmation of this to give you piece of mind so you don’t get any nasty shocks through the winter months. We are on call 24/7 so if you need a repair in the early hours we will be there. We can also check your property if tenanted to make sure that it is as it should be’.